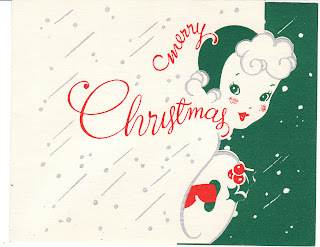 I love this one -- 1940's GIRL Die-Cut & Unique. It features a pretty die-cut 1940's young woman, with Christmas greetings on the front of card and New Year's inside. So stylized and WWII vintage!